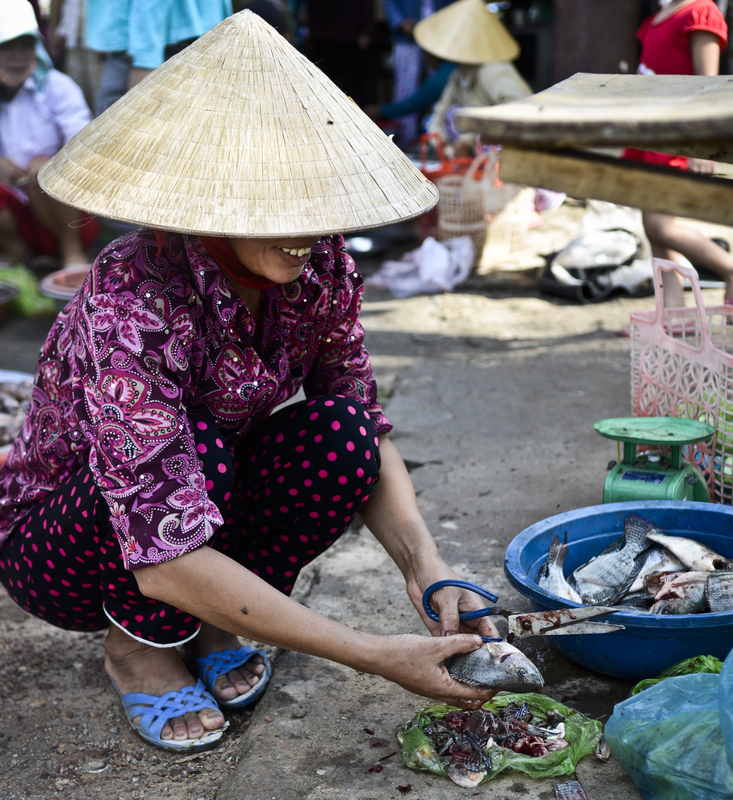 A woman guts fish in a village outside of Hue. Love the pearly whites peaking out from under her hat. Definitely makes me miss Vietnam.